After my adventures painting feathers and winged diagrams with sticks and scans the printed sleeve of a bird 'landed' on my door-mat earlier this week. Pleased to say the artwork's turned out pretty nicely. 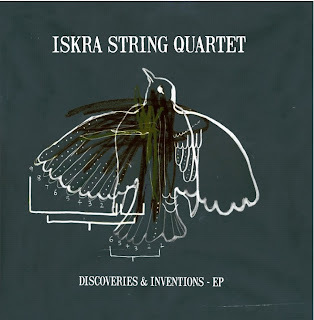 Entitled 'Discoveries & Inventions' the long awaited ISKRA STRING QUARTET - EP features compositions by the amazingly talented James Underwood (who also performs in and leads the quartet), Icelandic, electronic/orchestral composer, Johann Johannsson, and Minotaurshock. 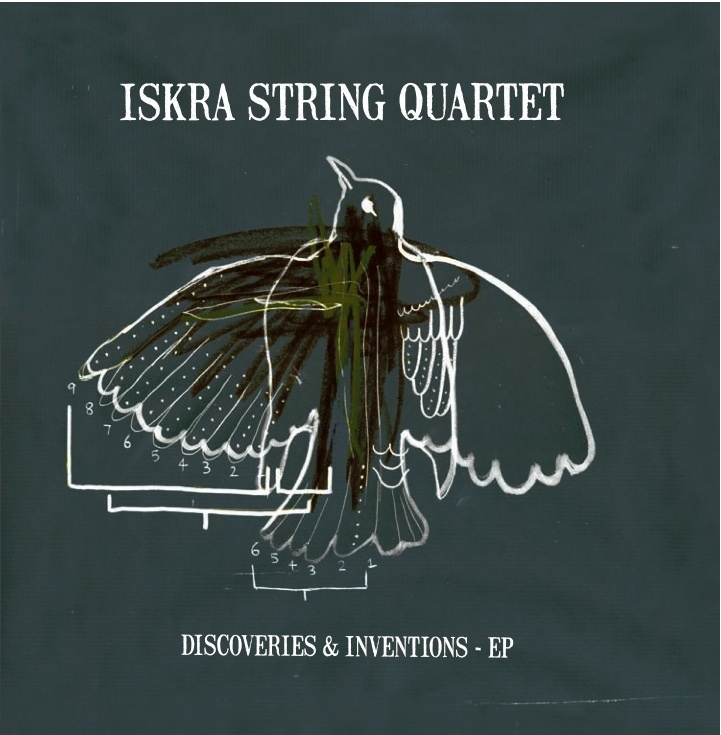 The quartet have played for Sufjan Stevens, Vampire Weekend, Duke Special, My Brightest Diamond and toured extensively with Johann Johannsson. James has also accompanied me on many an expedition in recording and performing, cultivating audio wonders with bow and string. There's a website on its way which I also designed. When I get the all clear I'll let you know about it so can get yoself a copy too.